Minuteman E17 is the new and innovative walk behind scrubber for today's green cleaning. The E17 auto scrubber has advanced technology along with green clean features. 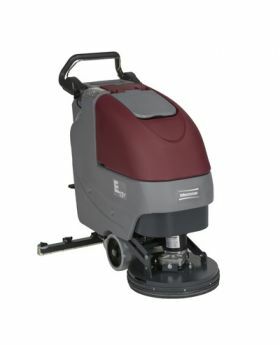 The E17 features a compact disc brush scrubber with a 17" cleaning path and covers 17,000 sq. ft. per hour. The E17 floor scrubber has been engineered to change the way you clean floors. Optional accessories for the E17 scrubber are available.